How do you help people have meaningful mentoring conversations? How do you keep mentorees focussed on getting the most from mentoring? 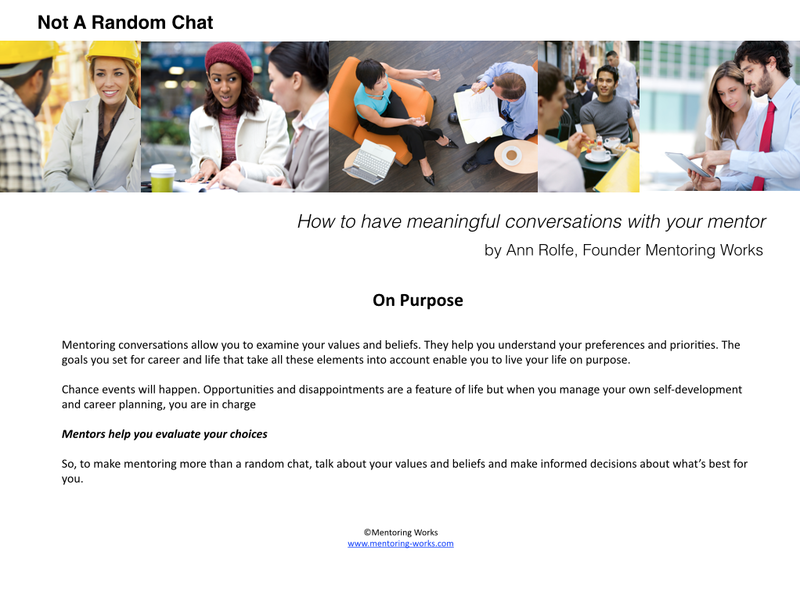 After the initial meeting, how will you keep mentoring from becoming just a random chat? 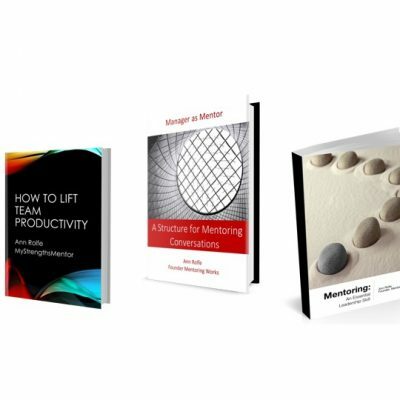 Mentoring Works Founder, Ann Rolfe has written a new series of ultra-short messages for mentorees, that are good reading for mentors too, that you (or we) email to your participants. These snippets of wisdom, gained over two decades of training, monitoring and evaluating mentoring, deliver relevant and timely information. They are specifically designed to help mentorees establish a productive relationship early and keep it focussed and on track. There are 26 in the Not A Random Chat series. That’s one to email every second week for a year. An email program can be automated, saving you time and hassle. Not Got A Goal Yet? Are You Wasting Their Time? Can You Turn The Tables On Your Mentor? Want To Do Things Your Own Way? You Don’t Have To Be Sick To Get Better! Each email is licensed for in-house use*. The content may be posted on your intranet site, printed as handouts or emailed to staff. Or, at no extra cost, we can send them for you, as html emails, directly to participants. *The material is copyright to Mentoring Works but unlimited in-house use is permitted under the license agreement. This means that you can re-use it as often as you like. You may rebrand Mentoring Tips for your program as long as authorship by Ann Rolfe and Mentoring Works copyright is shown on any reproduction. You may not give or sell the material to anyone outside your organisation.